I do what I love and love what I do! "Hear the voices of Nature"
" Forever" The Ancient One. 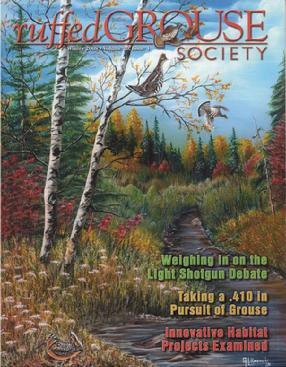 16 X 20 Acrylic Painting "Autumn Delight" as the National Ruffed Grouse Society Winter 2008 Magazine Cover. Prints available for sale. In the 1930's, George Soule of Freeport, Maine, developed the first cork decoys. He later took the design one step further and increased their size, making them easier for ducks to see from long distances. Leon Leonwood Bean was so impressed he offered Soule space for the decoys in his catalogs. Soule's first design was of a black duck, a favorite of Maine's waterfowlers and prized because they're so difficult to fool. Today, his decoys are considered some of the finest and most effective ever made. Over 60 years after the introduction of Soule's first Coastal Decoy, we are proud to present our first special Collector's Edition black duck decoy. 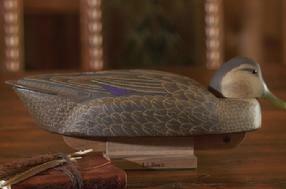 Each black duck is carved from Soule's original master, using tan cork, which is heavier and denser than the dark cork generally used in decoys. 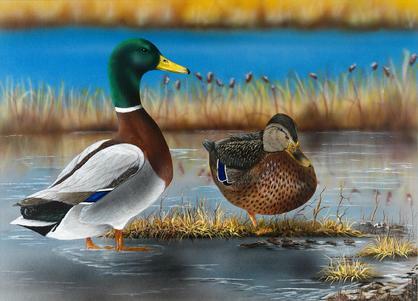 Award winning artist and Master Maine Guide Georgette Kanach handpaints in fine detail, bringing each decoy to life with skill and attention to each feather. Glass eyes, beveled wooden tail and shaped wooden keel complete the finishing touches. 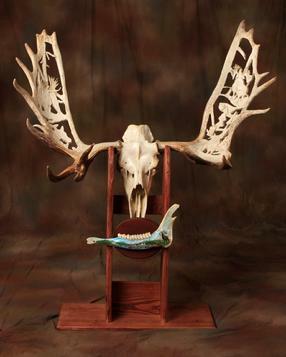 This is a limited-edition run of only 100 decoys. Wooden display stand included. USA and Canada.